Dr. Molyneaux is married with 3 children. He was born on the east coast of Canada on a small island called Prince Edward Island. Board Certified in both US and Canada. 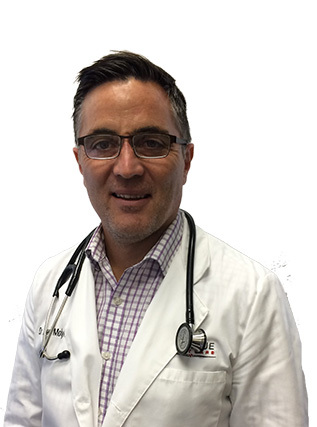 Dr. Molyneaux has practiced medicine in New Zealand and Australia, Canada, and the U.S. He worked in emergency medicine for 18 years before moving into urgent care. Dr. Molyneaux also works as full time executive in start up biotech company working to develop medicines to treat rare diseases. I played hockey and soccer most of my life and enjoy living an active lifestyle, spending time outdoors with family, hiking and beach. "Marque's greatest asset is the people that work within the organization. This company prioritizes the patient experience above all else and this is evident throughout the entire organization. As a physician, it is a pleasure to work within an organization that is constantly striving for excellence and working to ensure we deliver the best care possible to the patients that we serve."